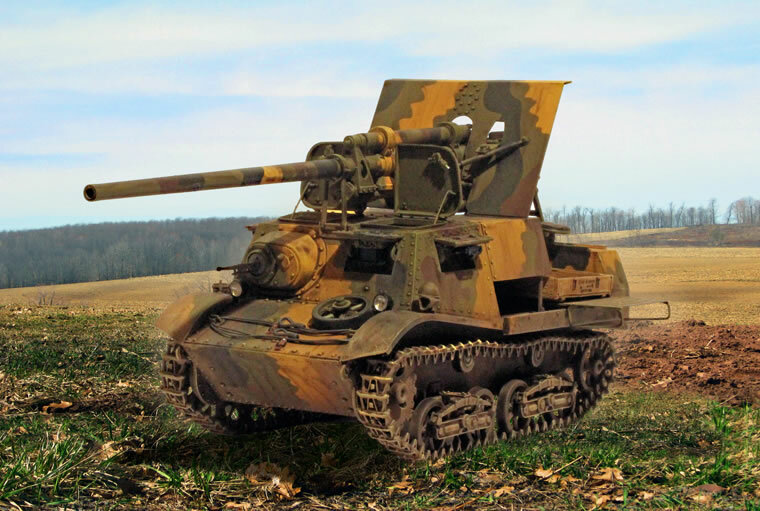 Over the years, I collected research material and various bits and pieces to do one of the Soviet ZiS-30 57mm tank destroyers built in haste in the summer of 1941 on the Komsomolets artillery tractor. Maquette did a kit of this conversion some years ago, but it consisted of the old AER kit with some truly execrable conversion bits. 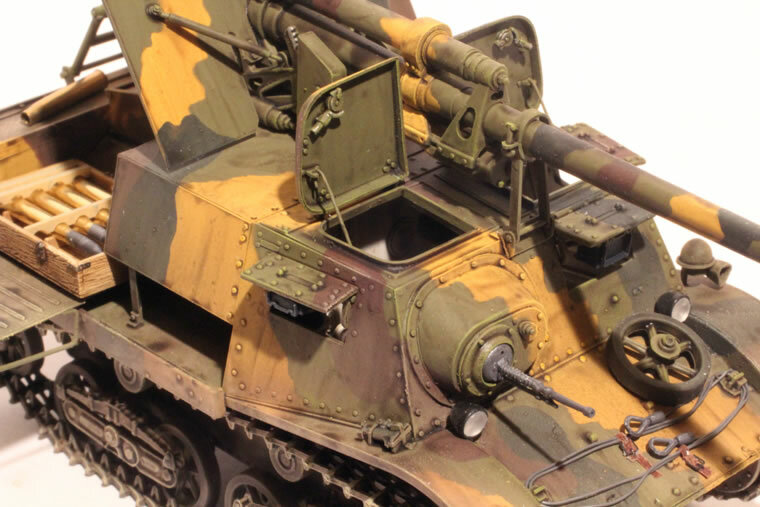 Over the past year, Mirror Models released a new 1/35 kit of the Komsomolets artillery tractor. While it is far superior to the old AER kit, it still has its share of issues. The Mirror Model kit can be built as either the 1st or 2nd series vehicles. Unfortunately, the ZiS-30 was built on the late production/3rd series vehicles which entails some additional conversion work. This involved the shape of the crew hatches and the shape of the front machine-gun housing. Overall, the Mirror Model kit goes together fairly well, but it requires considerable care in assembly due to the lack of locating pins on many parts. The kit includes a rudimentary interior, but misses a lot of the small details in the crew compartment. I would have preferred that Mirror Models omitted the engine, which can’t be easily seen, and instead made a greater effort on the crew compartment. 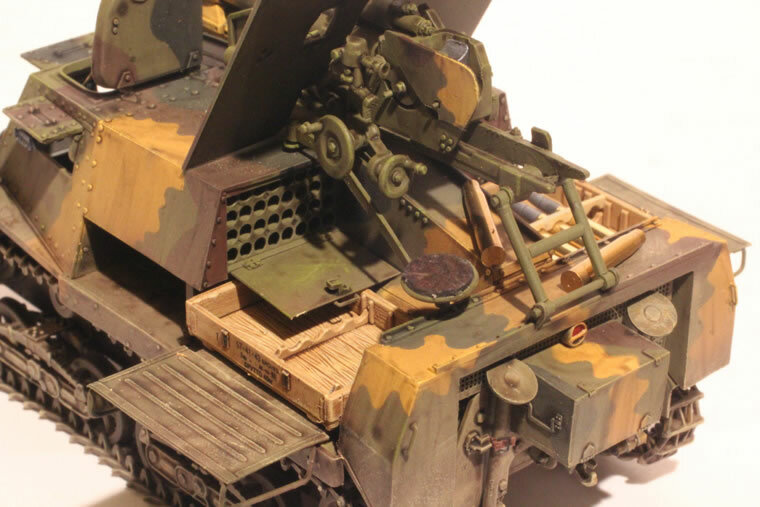 I did a variety of detail work on the basic kit including a new machine gun mount, and a lot of small details. The greatest weakness of the Mirror Models kit is the suspension. The rocker arms on the suspension are depicted in a cranked-down, shallow-V shape. This is seen on some museum vehicles and on some historical photos. However, it was not the standard configuration, which means carefully cutting and adjusting the arms. The worst feature of the kit is the track set. This is link-to-link and simply does not fit. The thought of trying to trim hundreds of tiny and delicate little links did not appeal to me. Fortunately, I had purchased a set of the old Model Kasten Komsomolets tracks which are very nice and easy to use. 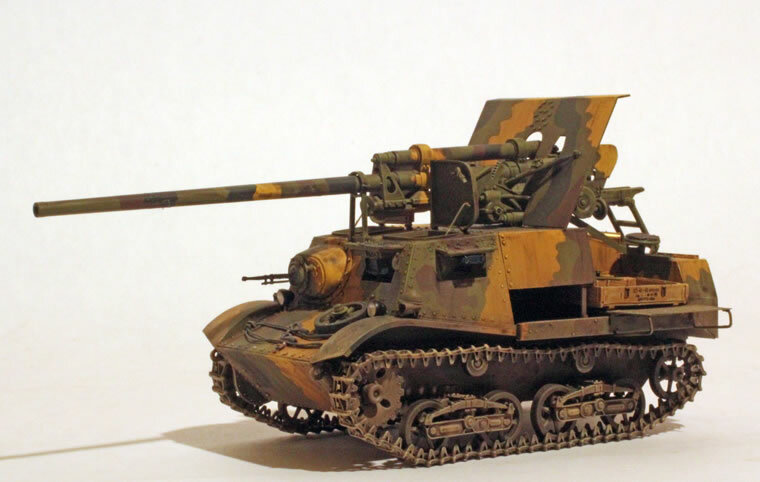 For the 57mm gun, I used the excellent Miniart 57mm ZiS-2 kit. 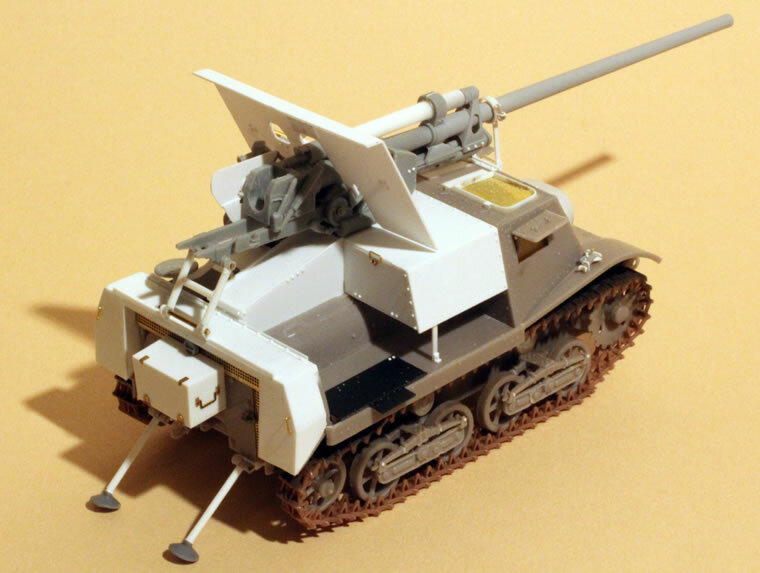 However, the ZiS-30 used the original Model 1941 version, so this entailed some more conversion work, mainly the breech guard. I also swapped out a RB Models 57mm barrel for the kit part due to its thin cross-section and length. The conversion work mainly deals with the rear bed of the vehicle. I relied on the excellent soft-cover book by Mikhail Pavlov “Traktor-tranporter T-20 Komsomolets” in the Voyennaya Letopis series. This includes a very good selection of photos and a scale plan. 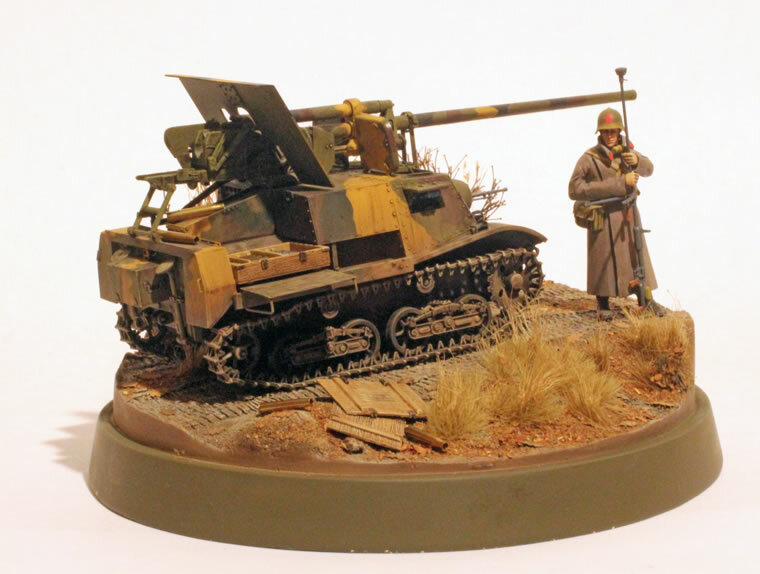 I finished the model in the 1939 Kubinka scheme of 4BO camouflage green with a pattern of earth yellow, brown and black. The figure on the base is a Wolf AT rifleman, with a Hornet head. Overall, this makes an interesting little model, but the Mirror Model kit requires some careful attention to bring it up to its potential.